It’s been a shamefully long time since my last post (see News), but to make up for it, here’s a great set of tunes for fiddling, dancing, whistling (if you’re good enough!) and all-round good-timing. Wonderfully synchopated, fun to learn, and total ear-worms. What could be better for a Sunday afternoon? Two videos: first, ace English folk trio Leveret playing the two tunes as a set, followed by melodeon-player Anahata with a three-part version of the 18th-century Blew Bell (a 3/2 hornpipe). And as always, you’ll find the usual folk/aural tradition variations in the tunes as played. Just choose your favourite, and off you go! From a 2015 concert in Lummen, Belgium. You can hear the set on their album New Anything. And there you have it. Purlongs. Thieves/robbers. Case closed? Cut to the chase! Here are two wonderful bands – Leveret and Boldwood – playing the lovely Purlongs. Purlongs played second in a set with Whitefriars Hornpipe, which was the tune for 28 May (Purlongs: 2:50). Mr Cutting half visible but entirely audible. 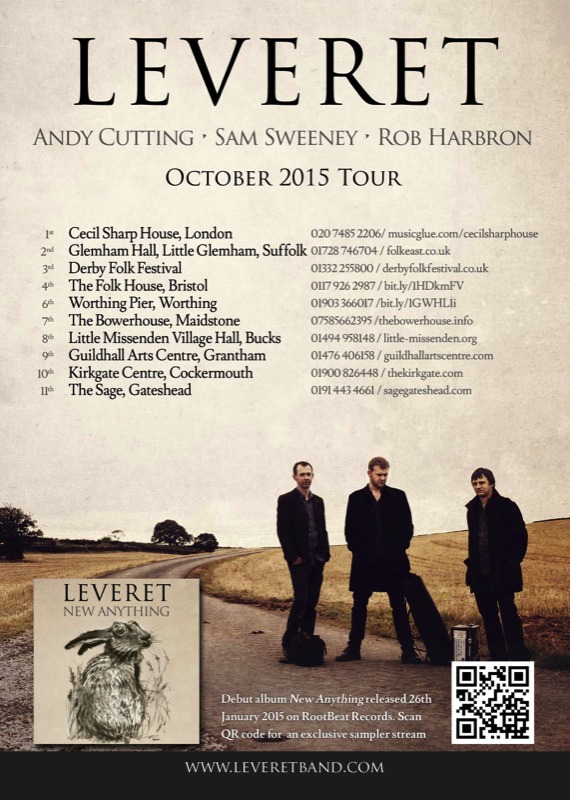 The set is on Leveret’s 2015 CD New Anything, available from their website. Played second in a set with Fete de Village (Purlongs: 2:10) in a live performance at The Queen’s College Chapel, Oxford, 1st June 2013, featured on the unpublished CD Mudlarking**. For news of gigs and recordings, see Boldwood’s website and their lively Facebook page. **For previously-featured tunes from Mudlarking, see also Jackson’s Shaving Brush (June 2015) and The Miller of Perth (Aug 2015). 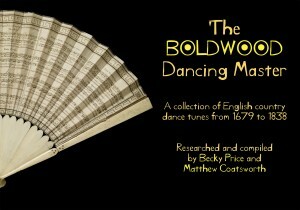 Boldwood play mainly forgotten tunes from 18th century England, painstakingly researched and liberated from lost manuscripts and the extraordinary (to us) phenomenon of dance fans. This 3/2 hornpipe was discovered by Becky Price in an unpublished handwritten manuscript in the British Library. The dots for The Miller of Perth are published in The Boldwood Dancing Master, available from the Boldwood website – along with a brilliant new CD – and also on Matthew Coatsworth’s fascinating website ‘English and French Music: an online manuscript’. For more information and another great Boldwood tune, see Fiddletails post Jackson’s Shaving Brush (June 2015).